Hi Friends! 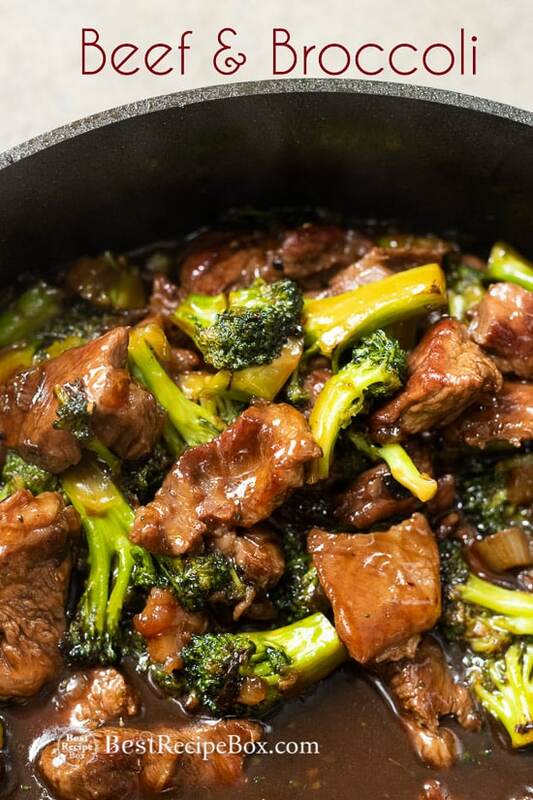 This recipe is perfect if you love Asian food, especially beef and broccoli. 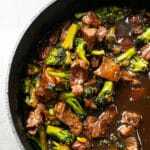 This Beef and Broccoli Stir Fry is flavorful and fresh with plenty of fresh broccoli. 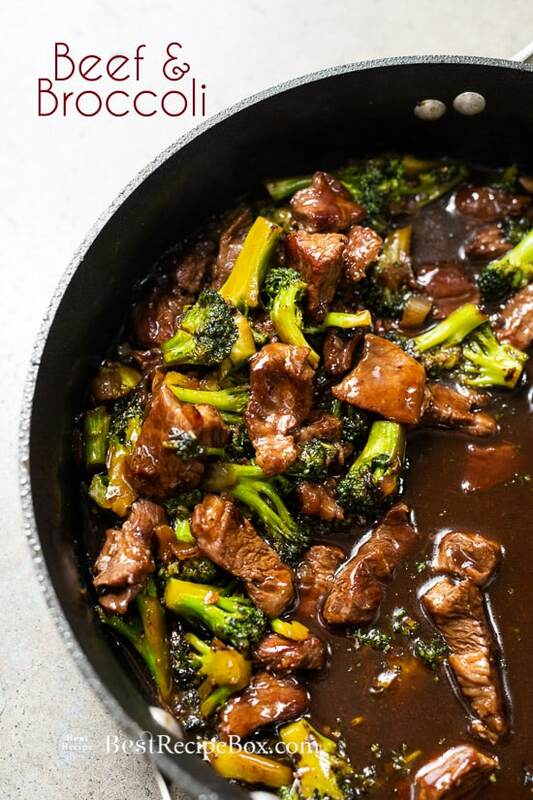 It’s an easy variation of the classic Chinese beef and broccoli recipe to that’s perfect for weeknights or when you have broccoli and beef left in the fridge. What makes this broccoli and beef recipe easy is that it only really takes less than 30 minutes . 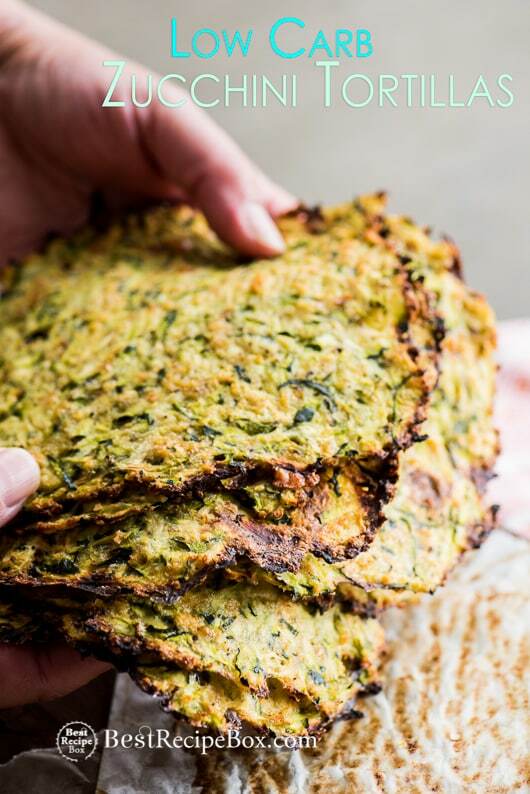 It’s also the perfect easy Asian recipe if you’re looking to cook a dinner with an Asian theme. 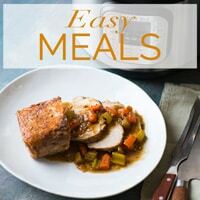 Kids LOVE this recipe and all you need to make it a complete meal is to add it to some healthy pineapple fried rice or steamed rice and you have the perfect easy weeknight dinner. 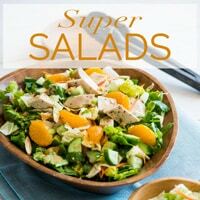 If you want to make it healthier, you can certainly make a salad out of it by tossing it with some fresh lettuce. 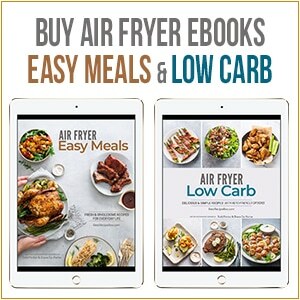 What ever you decide, this easy beef and broccoli stir fry recipe will remain a family favorite. 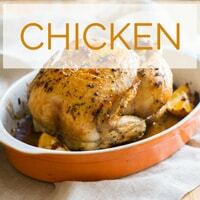 For more flavor, add additional garlic or ginger. The ingredients that are listed below can be flexible and changed to your liking. 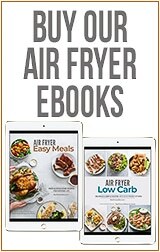 It’s fun to experiment with sauces and spices when cooking with Asian style stir fry recipes. And if you’re craving another great Asian recipe, this egg roll stir fry is brilliant and fantastic! 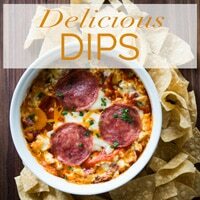 This recipe was originally published in September 2013 and re-published with updates in 2018. Thanks! Please read blog post for more recipe details. 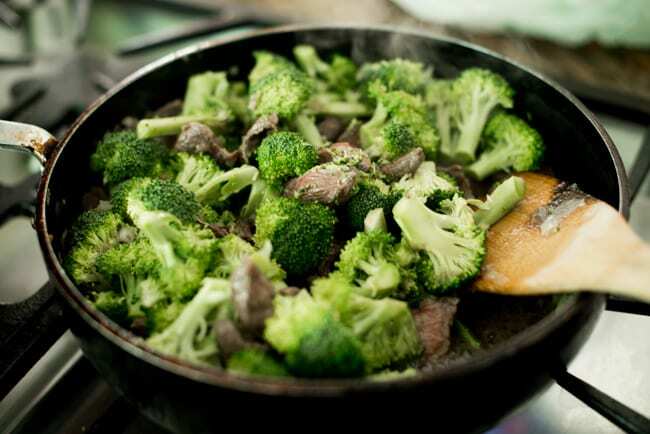 If you like your broccoli soft, add about 1/4 cup of water to the broccoli while it cooks. It should be absorbed and evaporated off by the time the broccoli is soft. 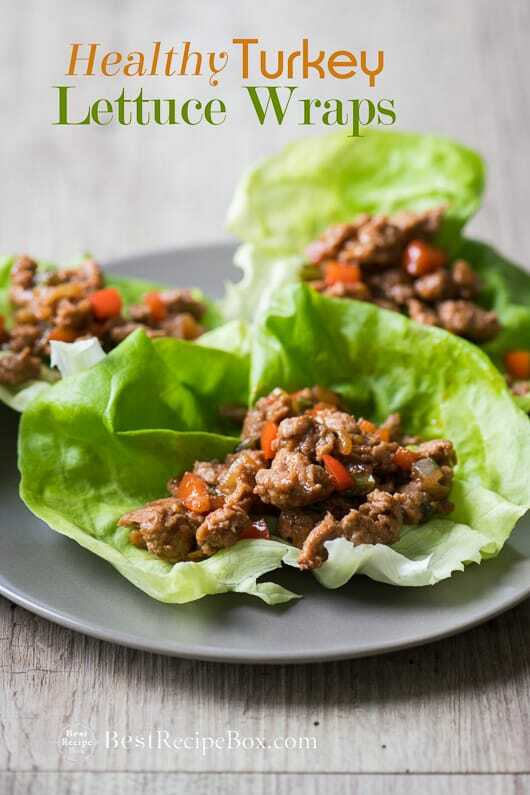 For the sauce, you can substitute more oyster sauce or hoisin sauce for the other one (use 1/4 cup of hoisin or oyster sauce instead of 2 Tablespoons for each one). 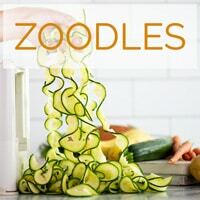 Make the marinade: in medium bowl whisk together the water and cornstarch until smooth. Whisk in the remaining all sauce ingredients (soy sauce, brown sugar, oyster sauce, hoisin sauce, rice vinegar, and sesame seed oil). Set aside. Heat a large sauce pan on medium high heat. Add 2 Tablespoons of oil, onion, garlic and ginger. Cook until soft and translucent. Add broccoli and cook until broccoli is tender, stirring constantly (if you like your broccoli soft, add about 1/4 cup of water to the broccoli while it cooks - it should be absorbed and evaporated off by the time the broccoli is soft). Remove all ingredients from pan. Add remaining 1 Tablespoon of oil to pan. Heat pan to high heat. Add beef and sear until cooked though. Add broccoli back into the pan with the beef and stir. Pour sauce over the beef and broccoli. Heat the sauce to a strong simmer. Cook for about 1-2 minutes to thicken the sauce and until all beef and broccoli is coated with sauce. Serve warm over rice or noodles.